Qualified pilot Raphael Mendonca, 34, suffered the consequences of the last recession, which saw a market flooded with cadets who didn’t have aircraft to fly. 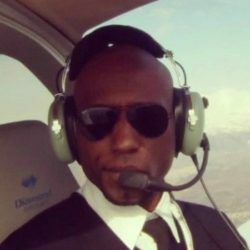 He talks to Pilot Career News about how he’s staying resilient and keeping his ambitions sky high, working with aviation recruitment specialists AeroProfessional. “I always wanted to be a pilot,” Raphael explains. “However, I didn’t have the means to pursue the dream. Flight training is very expensive, and that’s a fact that generally rules out a good bunch of people. Unfortunately I was in that category.” Raphael took some time to follow another passion of his: music. He studied percussion, popular music and jazz, performing with an orchestra in Portugal, before returning to aviation. His advice to qualified pilots in a similar position is to stay involved in the industry as much as possible. “Cover three major aspects: flying techniques, theory, business,” he says. “It is very easy to get demotivated, especially when you have sent hundreds of CVs and you get no response. If you can’t afford to fly regularly, practise your Instrument SCAN with a home flying simulator and try to visit a training facility once a month. Focus on IR skills, Intercepting and tracking, but the most important is your SCAN (be ahead of the aircraft). If you have the opportunity to join a flying club, do it; socialising with other pilots will motivate you. An Instructor rating is also a good way to keep sharp, I have a rating myself and I am trying to secure an opportunity to fly on weekends.